What was the most advanced tool that Autodesk ever created that was folded? 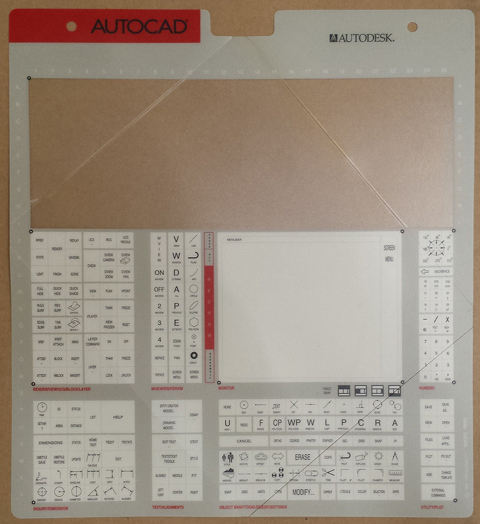 Way back when… In the days when tablets were a hot ticket for CAD Users, everyone wanted one. Autodesk responded to this demand by providing the Tablet Menu below. Folded and included in the box with the install media. 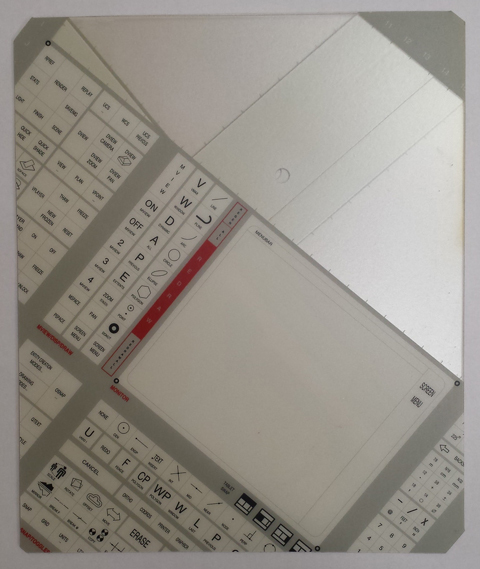 Just unfold it, lay it over the tablet and calibrate it for use. Then you would be so much more productive just by picking the command from the tablet. The big red bar next to the white area is the Redraw command. This folded productivity tool was the rage… and you thought that the origami icons were the first use of “folding” by ADSK. I have been using Autodesk Products since R9 and I could never get the hang of the digitizers (summasketch pads). They seemed to restrict my movement too much or possibly it did not have enough resolution to be precise even with osnap. I was much more efficient at loading a custom pgp file and typing with my left hand and mouse in right hand. When R12 came out I remember thinking it is going down the path of more user interface and less digitizer.